Trekking Poles provide you with stability while trekking through challenging terrain and go a long way in reducing strain on your hips as well as several other parts of your body. 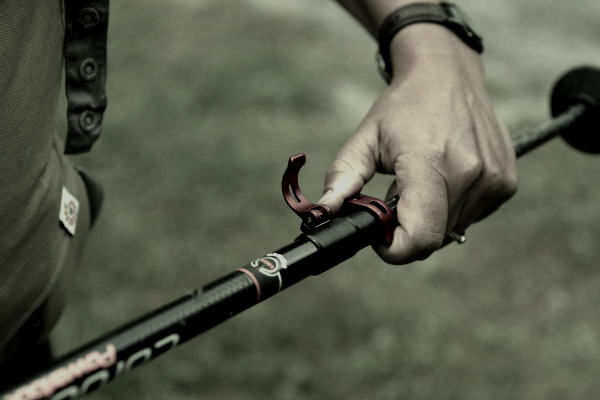 If you are an avid outdoors person, then you’re probably well aware of how convenient these trekking poles can be. Trekking Poles are extremely vital pieces of equipment that should always accompany you for every hiking trip you undertake. So if you’re looking to get yourself a lightweight trekking pole that will provide you with all-season versatility, then this 2 Pack Trekking Pole by LoveIsCool should definitely be on your shopping list! This trekking pole by LoveIsCool features everything that you might need when you’re on the trail and has a solid build quality which is designed to last. When it comes to trekking poles, there are usually two materials of choice that are used for their production – Lightweight Aluminum and Carbon Fiber. This 2-pack trekking pole is made from high quality lightweight aluminum that is extremely durable and provides you with greater degree of versatility than Carbon Fiber poles. They weigh only around 10 ounces apiece and are thus pretty lightweight when compared to several other products in the same price range. How much your trekking poles weight can be very crucial, especially on long treks.These poles are both lightweight and sturdy, thanks to the high grade aluminum and guarantee to make your treks a lot easier. 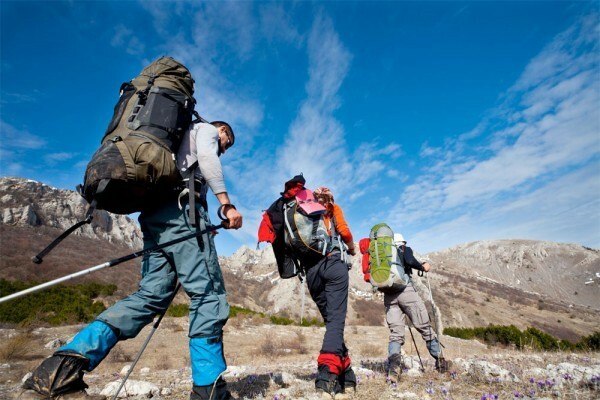 One important feature that you should always keep an eye out for while purchasing trekking poles is their adjustability. This is extremely important because the length of the poles need to be adjusted according to the terrain as well as to your height. These poles are adjustable from 13 inches, all the way to 53 inches and features an easy lever lock for quick adjustment on the go. These poles are thus perfectly suitable for everyone – short or tall, kids or adults. These poles by LoveIsCool also have amazing shock absorbing properties thanks to the anti-shock spring mechanism featured in the poles. This shock absorbing mechanism reduces strain on your hands, wrists and elbows by a large extent and is thus great for people that have weak joints. 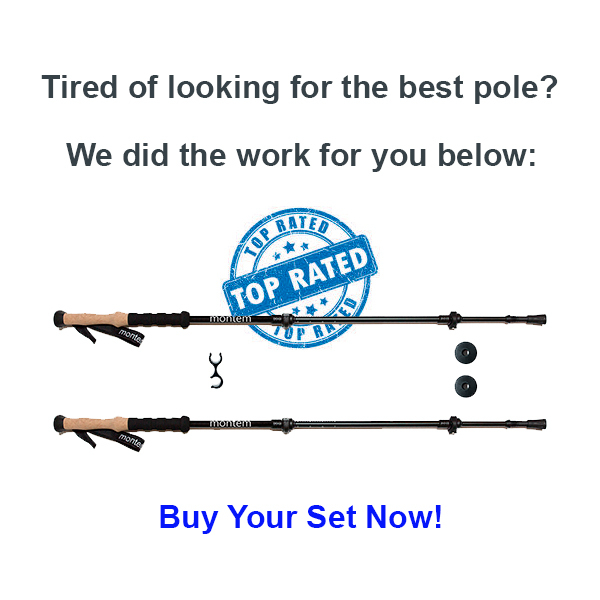 These poles also come with carbide tips (2 pairs) to get you started. Each package also comes with a pair of mud baskets that are essential for hiking in mud, snow or other softer ground coverings. 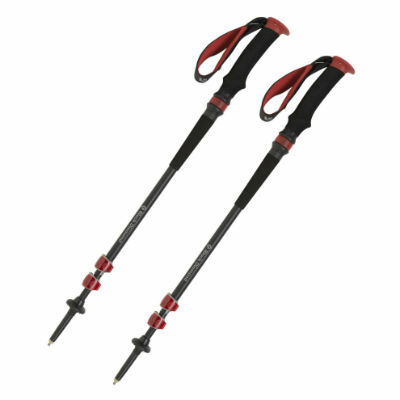 As far as the performance is concerned, these trekking poles by LoveIsCool are right at the top in this price range. We tested out several Lightweight Aluminum Trekking Poles in the same price range and these poles outperformed all others and convincingly established its superiority. The shock absorbing properties in these poles are by far the best overall feature that we observed. They feel very comfortable while hiking through rugged terrain and are highly recommended to everyone, especially to those who have weak joints or have prior sport injuries. If you’re looking for affordable trekking poles that do a great job on the trail, then these are perfect for you. They don’t cost a fortune and perform brilliantly in a variety of different terrains. They are durable, lightweight, have excellent shock absorbing properties and come at a low price. The value for money provided by these poles surpasses all others in a similar price range. 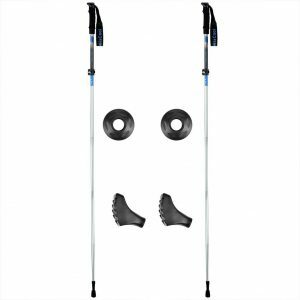 Overall, these poles are great if you’re a beginner and are looking to get a decent quality trekking pole to start off. They provide a decent lineup of features for the money you pay and are also pretty sturdy when it comes to build.